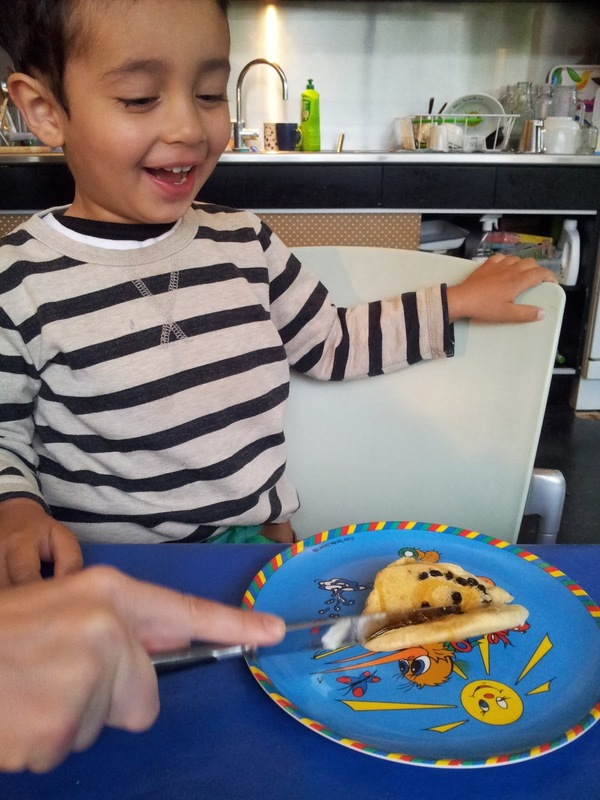 In our house oat pancakes are a breakfast favourite. Now, oat pancakes are not usually associated with "light and fluffy" but I have discovered just the right proportion of oats to flour to avoid heaviness. The secret to light pancakes is aerating the mix and I thank one of my favourite cooks Lois Daish for the tip. You don't need oats at all but I like the added health properties of soaked oats and the nutty flavour. One of the benefits of eating a breakfast that contains oats is that the oat-beta glucan in oat fibre slows down the increase in blood sugar levels after the meal. 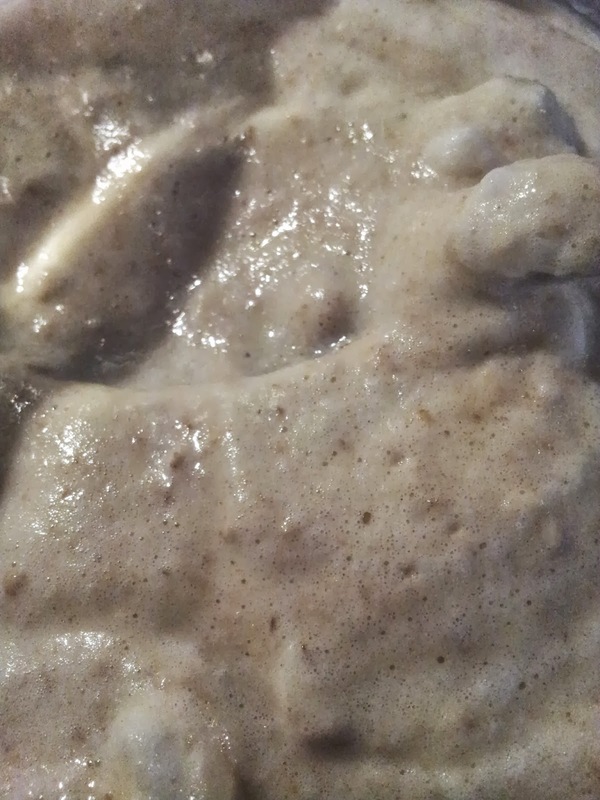 When the oat-beta glucan is digested it forms a gel which makes the contents of your stomach and the small intestine more viscous (a thick consistency between solid and liquid). This slows the uptake of carbohydrates into the blood stream and digestion takes longer, preventing sudden fluctuations in blood sugar. That's why you feel satisfied for longer after eating oats for breakfast. (See my previous two postings on the other health benefits from oats). Oat pancakes has to be pre-planned as you need to soak half a cup of oats overnight in water. *You can make pancakes just using white flour, but I just like to add different flours to add more nutritional 'punch' to breakfast. 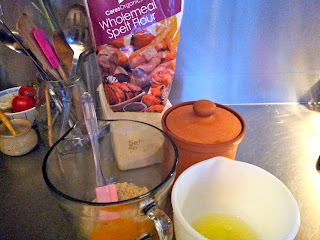 I did try Buckwheat flour but found even 1/4 cup made the mix a dry unappetising consistency. ** I always look out for specials on buttermilk as it makes excellent pancakes, scones etc (and can be kept in the fridge for longer than it says on the packet). Tip: By using a mix of yoghurt and milk you get a similar taste to buttermilk. The big secret to these pancakes is the separation of egg yokes from whites and then beating the egg whites until stiff. Beaten egg whites add lightness to the mix. works a treat - try it next time you make corn fritters. 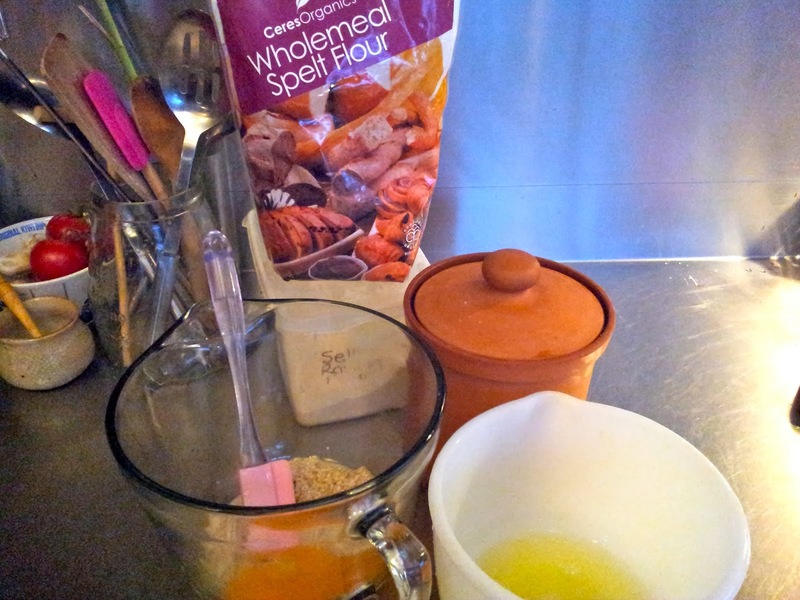 Start by adding to the soaked oats, the two egg yokes, then the flours, sugar and baking powder. Add enough milk to mix to a pouring consistency batter - a little like lightly beaten cream. You may need more or less milk... judge by sight. If you have added too much milk all is not lost, just add some extra flour. You don't have to worry about over working the mix...until you add the fat (either your chosen oil or melted butter). Add this next and fold in. Finally, add the beaten egg white. 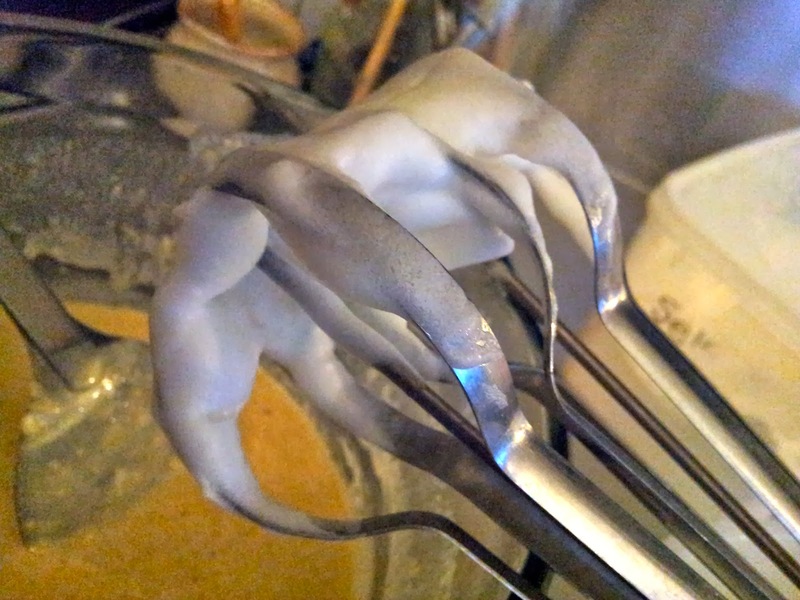 First, take a spoon full of the beaten egg white and fold through the mix. I usually use the egg white I knock off the egg beater against my hand (not on the bowl) into the mix. (I add egg whites to any mix - it prepares the mix for the rest of the egg white as a little lightens the mix to allow the remaining egg white to more effectively blend with the mix). 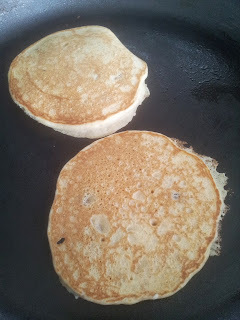 or just pop a few currants on top of the pancakes. If using caste iron you need to heat it for a while before using so I usually turn the heat on slowly while preparing the pancakes. Rub the warmed pan with butter paper or give it a light spray with cooking oil. Always make a small sacrificial pancake first, to see if you have the pan at the right temperature. You need enough heat to cook them through but not too high that they cook on the outside but remain uncooked on the inside. 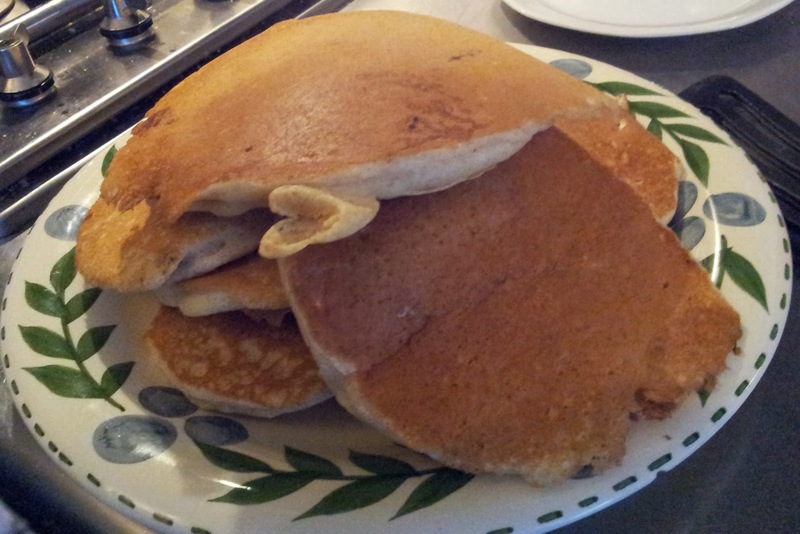 Flip the pancakes when bubbles appear and start to burst on the surface of the pancake. If they don't have a firm under-surface when you try to flip them, it means you are flipping too early. Once cooked, keep them warm in a low oven until ready to eat. I usually serve pancakes with fruit compote or a bowl of fresh summer fruits, maple syrup and yoghurt. 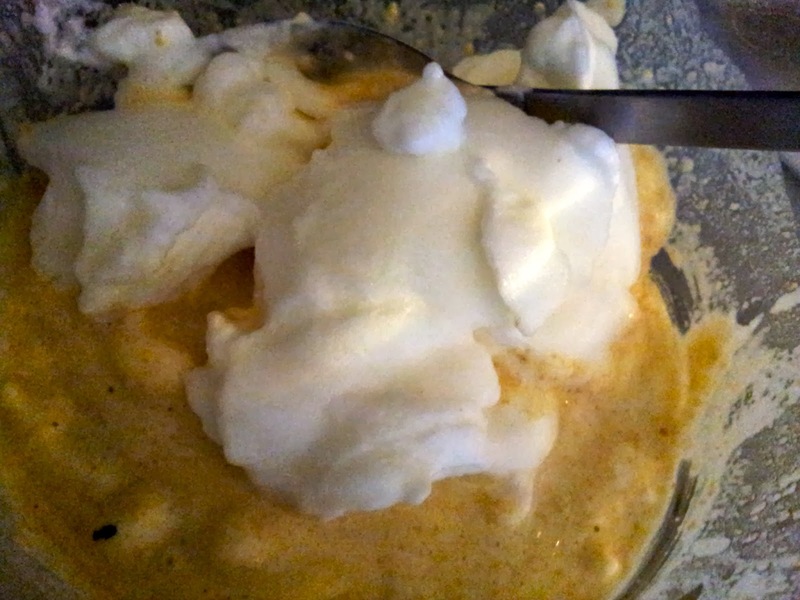 One of my favourite compotes is pureed cooked gooseberries. 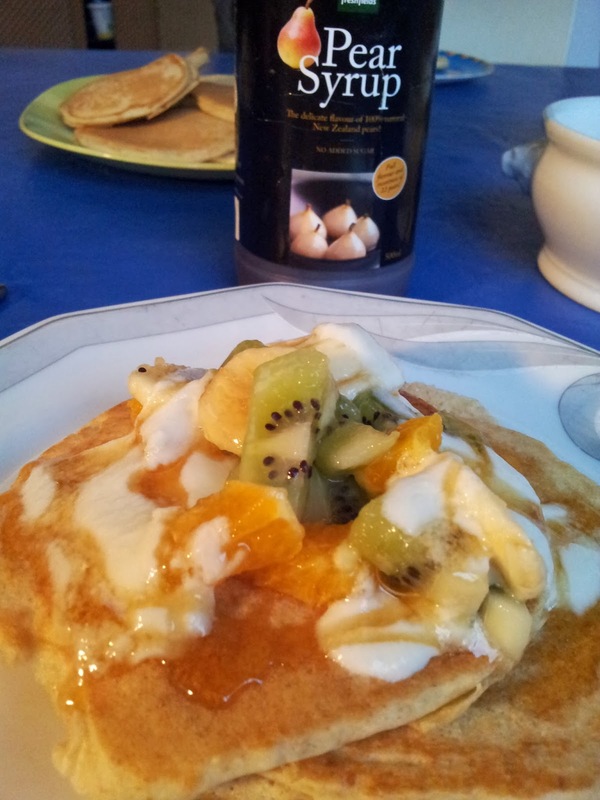 Pear Syrup produced in Hawkes Bay is a good replacement. It's made from 100% pears, no extra sugar added. The best pancakes are made from using a heavy caste iron pan because the heat is constant making an even crust. Our landlord and friend Chris has a wonderful selection of cooking pots and I keep one of his large caste iron pans just for pancakes so that I don't get other flavours transferred to the pancake. In Dunedin I would use my griddle iron... and you griddle fans, you will find it in my September 2012 posting "A Vintage Morning Tea - Nan's Pikelets". If you are 'griddleless' try hunting one down in a second hand shop... then you will discover perfect pancake production. pancake cut into wedges then a squeeze of syrup. 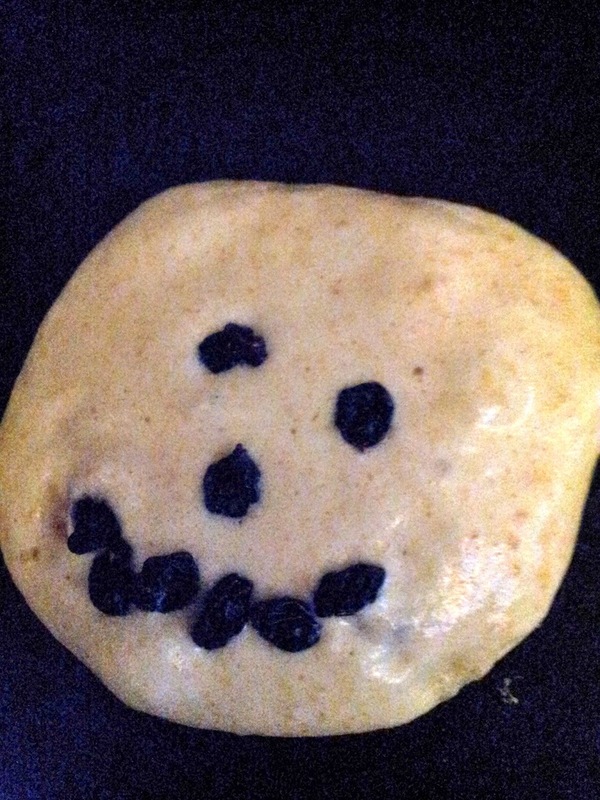 Every culture has some form of pancake cooked on a stove top. 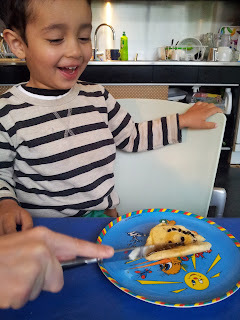 My work colleague Elizabeth told me about savoury breakfast pancakes they cook in India. 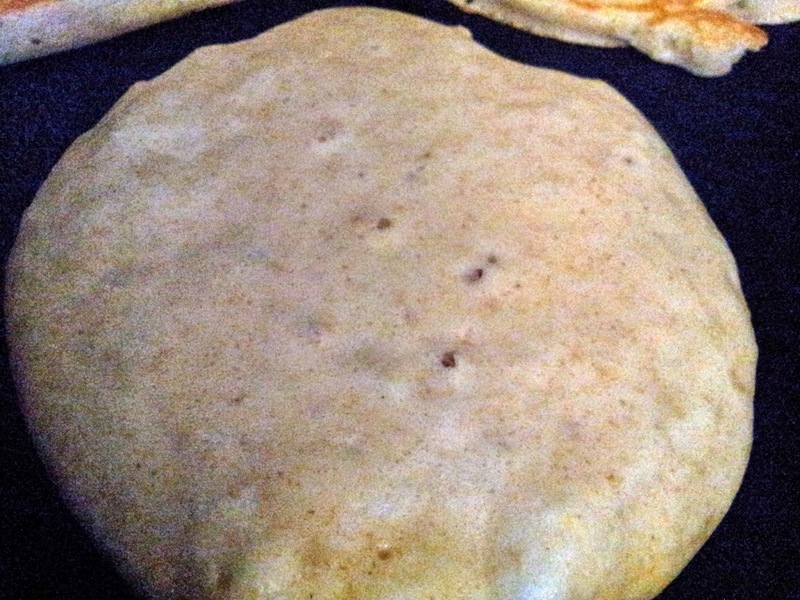 These are made from fermented rice, lentils and oats, and are called Dosa's. Elizabeth says that adding oats gives the dosa more crunch. I now have the method so I am keen to give them a try. Will keep you posted.